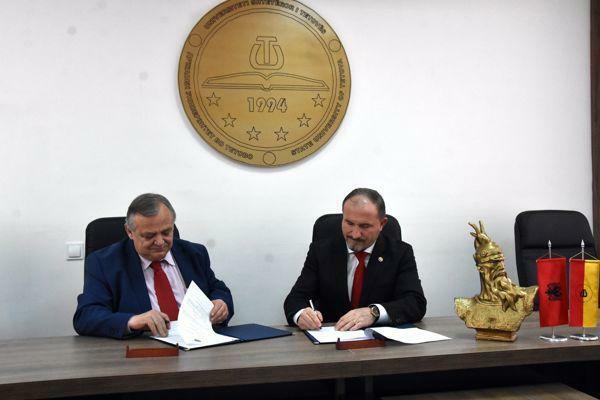 On 30 March 2018, University of Tetova and the University of Medicine from Tirana signed a cooperation agreement in the field of higher education and research. 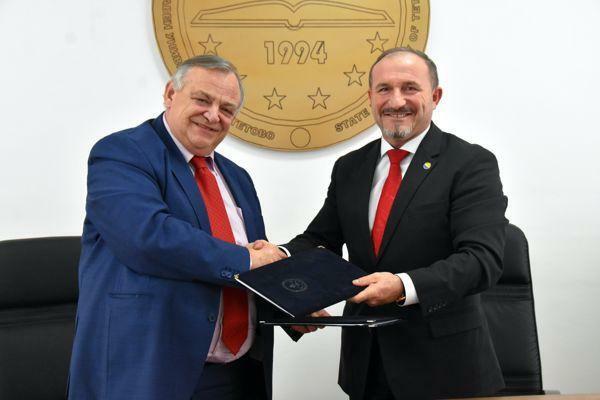 The agreement was signed by the Rector of the University of Tetova, Prof. Dr. Vullnet Ameti and the Rector of the University of Medicine from Tirana, Prof. Dr. Arben Gjata. Rector of the University of Tetova, Prof. Dr. Vullnet Ameti, emphasized that with this cooperation both universities have agreed to cooperate for encouragement of multilateral exchange, in function of institutional development. “The cooperation between two universities, namely the University of Tetova and the University of Medicine from Tirana will include: Exchange of academic staff for the teaching process; Exchange of professors, researchers and students in the framework of scientific research activity; Encouraging, supporting and implementing joint research and training projects; Encouraging, supporting and realizing other scientific activities (conferences, seminars and publications in areas of mutual interest); Exchange of scientific literature; Exchange of experience regarding the institutional management” – said the Rector of the University of Tetova, Prof. Dr. Vullnet Ameti. According to the agreement, both universities agree that the realization of activities will be carried out depending on the resources and the potential available by each institution.